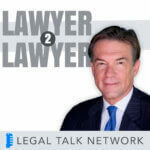 Chicago, IL – Legal Talk Network and Northwestern Pritzker School of Law are pleased to announce the debut of Planet Lex: The Northwestern Pritzker School of Law Podcast. Planet Lex is a series of conversations about the law, law and society, law and technology, and the future of legal education and practice. In other words, a bunch of interesting stuff about the law. 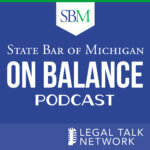 You can subscribe to the podcast via email or on iTunes, Google Play Music, RSS, Stitcher, on the Legal Talk Network iTunes app and the Android app. Northwestern Pritzker School of Law is one of the country’s leading law schools. Founded in 1859, Northwestern Law advances the understanding of law and prepares its graduates to excel in a rapidly changing world. Northwestern Law prides itself on its interdisciplinary research faculty, low student-faculty ratios, and collegial culture. Its downtown Chicago location in close proximity to courts, commerce, and public interest activities enables students to experience the practice of law, as well as its theory, in one of the most vibrant legal and business communities in the world. As Director of Marketing and Multimedia, Kimberly helps set strategy for outreach, distribution, social media, and network growth, and manages multimedia production for the network. She holds a Bachelor of Science from Mount Ida College and has a background in design, marketing, production, editorial, and operations and strategy. Kimberly consults with the production and operation teams on a variety of projects and initiatives. You can follow her on Twitter at @kimberlyfaber.